Sava’s Intensa SUV tyres offer incredible performance and great longevity to make them excellent choices and even better value than you might think. With a high wear resistance and a reputation of excellent reliability, Intensa SUV options represent a great choice. You’ll get fantastic levels of grip, stability and responsiveness as well as a smooth and quiet ride compared to other products and brands. Increased water dispersion also reduces the risk of aquaplaning, keeping you in control at all times. 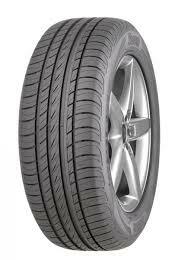 Don’t miss out on Sava Intensa SUV tyres.